Beek, W, Ilievski, F, Debattista, J, Schlobach, S, & Wielemaker, J. (2018). 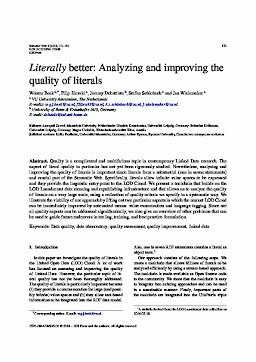 Literally better: Analyzing and improving the quality of literals. Semantic Web – Interoperability, Usability, Applicability, 9(1), 131–150.